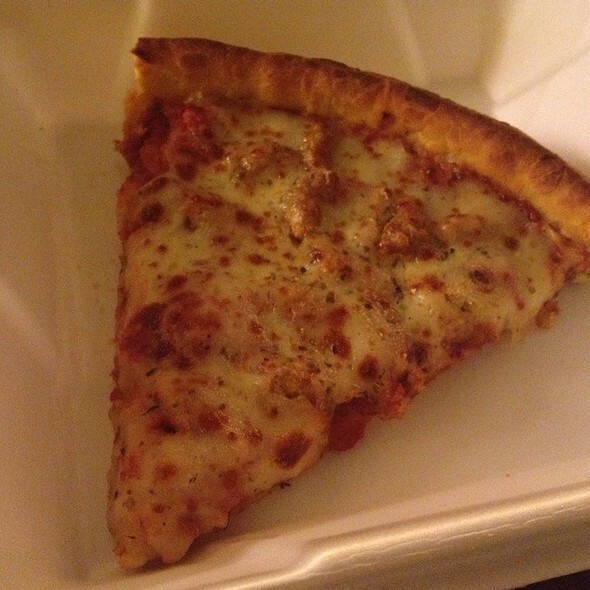 Eating for Sanity: Which Slice of Deep Dish Pizza Makes Me Sane? When I think of Chicago, I think of the Bulls, the Blackhawks, diehard cubs fans, the SEARS tower, and of course Deep Dish Pizza. 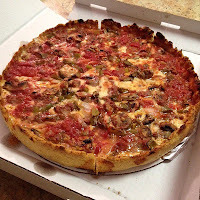 I understand that Chicago is famous for other food items such as the Chicago style hot dog and the jibarito, but deep dish pizza is in a league of its own. There has been a huge debate whether or not NY style or Chicago style pizza is superior. I, personally, was introduced to deep dish probably 10 years back... and have fallen in love with it. Deep dish is notorious for making you full, unlike the flimsy NY style. But it is still just personal preference. So, when it comes to Chicago restaurants serving deep dish, I like to think in categories--either "The Big Four (and recently 1/2)" or "The Followers". 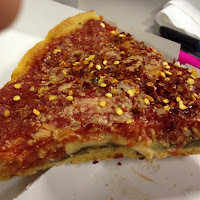 "The Big Four and 1/2" consist of Lou Malnati's, Pizzeria Uno/Due, Gino's East, and Giordano's. I have recently designated a 1/2 to Pizano's. Regardless of their category, I have found some of my favorite to come from "The Followers" and some of my least favorite from "The Big Four". It is always going to be a huge debate on which pizzeria was the original, or which pizzeria is the best. Hopefully, this Sanity Spectrum can shed some light on why I have my preferences, and possibly help settle the dispute for others.